If You Have Courage Use It. I want to lift your spirits high and fill your hearts full of hope, and offer my warmest and kindest welcome to Pink Harley Racing. I founded Pink Harley Racing in 2009 following the death of my best friend, my beloved wife Elaine. The Pink Harley Racing website and the Pink Harley Bonneville bike were created to support and attract attention to women’s breast cancer... and most of all encourage women to do self-exams to detect the onset of cancer in time for therapy to be effective. I want to offer a warm place on this wonderful World Wide Web, we call the internet, to share our grief, stories, love letters, pictures, inspiration, information, memories and memorialize love ones. A place on the internet to bring women together. I believe together we can bring an end to death from breast cancer, please join with me in the battle. Support is priceless. “With my deepest love, admiration, tenderness, and wish for recovery for all you magnificent ladies suffering with breast cancer, with tears in my eyes and a prayer in my heart... to you I dedicate Pink Harley Racing”. Life is not measured by the number of breaths we take but the moments that take our breath away. 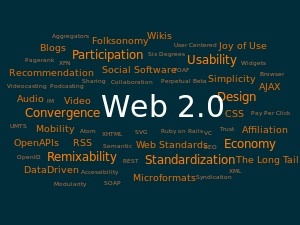 WEB 2.0 site coming soon! Bonneville Salt Flats 1973, Jerry (center) discusses aerodynamics with George Smith Sr. (right) S&S Cycles. Mission accomplished… record 166.708 mph! Note full-flow oil filter (orange), part of complex duplex dry-sump oil system designed & built by Jerry. 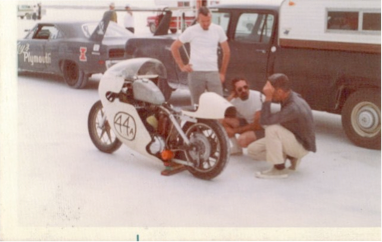 Photo: Bonneville ’79 record run, 172.303 mph. An interesting fact: The racing oil I use for engine lubrication is from the castor bean seed — the castor bean is also used for chemotherapy cancer drugs. Imagine that. Whether by personal experience or by contact, everyone knows someone that’s been affected by breast cancer. My dream is to change that. Pink Harley Racing was created to attract attention and support early detection of women’s breast cancer. 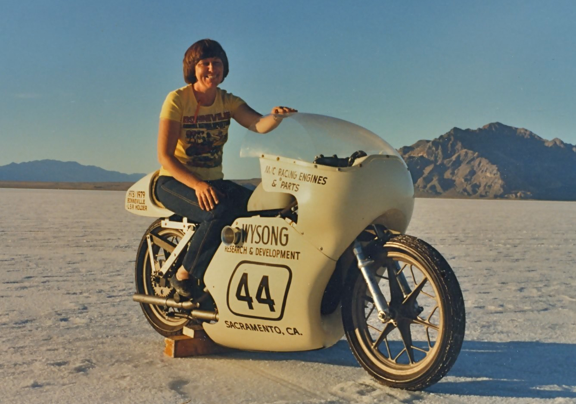 Elaine Wysong, wife and partner of Jerry, poses on the Bonneville Salt Flats with Harley she helped build. 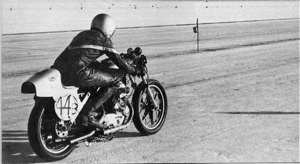 In 1973, again in 1979, attempts to break a motorcycle world land speed record on the Bonneville Salt Flats were made, the challenge was met by establishing two world land speed records — 166.708, 172.303 mph respectively. This same Harley is now the flagship for Pink Harley Racing. In 2009 Elaine lost a grueling six year courageous battle with breast cancer. Elaine’s death was Jerry’s call to action, believing that if cancer was found early more lives would be spared Jerry founded Pink Harley Racing in Elaine’s memory that same year. I’m looking for a courageous female rider to step up for a run at no less than 200+ mph, on the Harley below, for BNI Speed Week. Pink Harley Racing is not affiliated with Harley-Davidson, Inc.
March 5th, 2019 marks the tenth year since Elaine’s passing. Always an advocate, doing more for others than herself, her helping hands and precious smile will be missed forever.